It was an unprecedented time in American conscience: widespread, bipartisan outrage, reinforced by the hefty force of popular culture, spurred the US government to take swift military action on a humanitarian issue. Seas of red t-shirts and glossy bumper stickers plastered American metropolitan centers and the general public shelled out millions in support of a common cause. This was the Kony 2012 phenomenon. It was a rare moment for the media in which hot button issues like healthcare, gun control, or Afghanistan were pushed to the wayside for an unknown cultist warlord ravaging the border area of Uganda, South Sudan, the Democratic Republic of Congo, and the Central African Republic. This hyperawareness, paired with renewed international attention, was unifying and positive – something was finally being done about the abject suffering of people in these often-overlooked developing countries. However, as quickly as it began, interest diminished amid a storm of controversy regarding impolitic profits made by anti-Kony advocates and bizarre personal behavior by Kony 2012 founder Jason Russell. 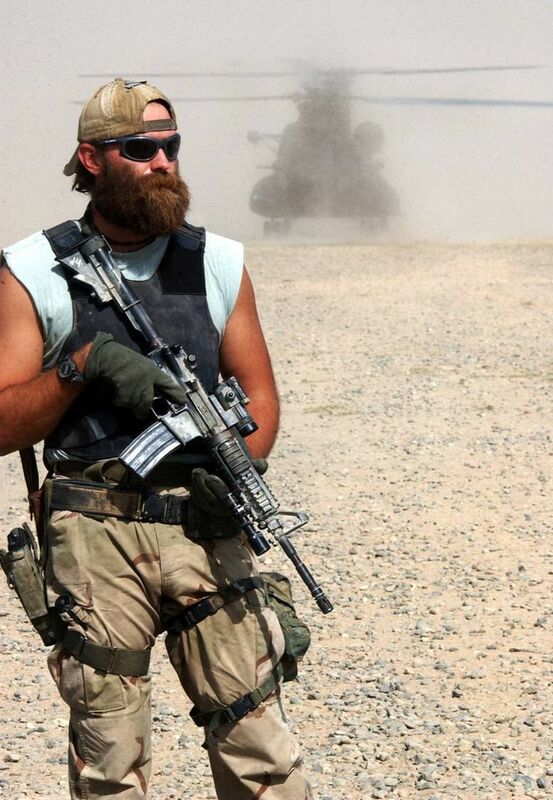 The hype was over, but for just over one hundred United States Special Operations commandos, the battle had just begun. For nearly three decades, Kony has headed the Lord’s Resistance Army (LRA), a fanatical cult that works on a foundation of ethnic nationalism, loosely-Christian radicalism, and pure corruption in order to instigate violence in Uganda and other ungoverned pockets of Central Africa. At its peak, the LRA was estimated to contain over a few thousand men in leading a reign of terror through Central African towns and villages. It was a gross show of disregard for human rights playing out in a disturbingly public arena. Immediately after the release of the Kony 2012 documentary, the United States moved to destroy the LRA and capture Joseph Kony. A contingent of United States Army Special Forces – also known as Green Berets – deployed to Central Africa with loose objectives and placed a five million dollar bounty on Kony’s head. After five years of training and working with Ugandan forces in the vast bush of the region, the LRA’s manpower is down to below five hundred, while the hallmarks of its terror (village raids, indiscriminate killings, and kidnappings of young boys) have become extremely infrequent. The LRA’s morale is scuttled and its base of support has atrophied to molecular levels. Yet Kony himself seems to have escaped, sauntering his way over the border into South Sudan, not to be seen. The American-led neutralization of the LRA is not a recent development, and it became evident rather quickly that there was only so much more the small group of soldiers could do to entirely eradicate the LRA, Kony included. For years now, the operation, dubbed Observant Compass has become a risky public relations stunt – one long forgotten by the masses – in which armed American servicemen roam an “area of operations [that] is the size of California,” exposing themselves to the various natural risks of the African bush, hoping to stumble upon Kony himself, all while wasting an estimated $100 million of the US budget. It seems timely to review the objectives of the mission: First, the teams are tasked with degrading the effectiveness of the LRA as a terrorist group and an influential entity in the region. With their manpower decreased by thousands, it seems, regarding this objective, that the mission has been a resounding success. Second, the United States aims to capture Kony and bring him to justice for his war crimes. While this has not been achieved, Kony is entirely combat-ineffective and likely near-death somewhere over the border in South Sudan (reports describe him as frail and suffering from “severe stomach ulcers”). Kony’s group is on thin ice and his cult of personality is faltering, yet American soldiers continue to put themselves at risk on a daily basis, operating in thick brush with no precise, achievable objective. Most importantly, the Lord’s Resistance Army poses zero threat to the American homeland and only a minimal one to its regional interests. This cannot be said for other operations in the Sahel, East Africa, the Middle East, Southeast Asia, and the Afghanistan-Pakistan region. Both the Bush and Obama administrations leaned heavily on special operations forces (SOF) to conduct sensitive, unconventional operations in these theaters of the Global War on Terror, and President Trump shows no signs of altering this policy. With the SOF budget limited, the service members strained by a heavy workload, and SOF skills in high demand worldwide, it is time for the United States to back away from this wasteful, asinine policy. President Trump should discontinue the operation immediately, transfer anti-LRA responsibilities to local Ugandan elements, and offer much-needed replenishments elsewhere.